Banstead Glass & Glazing Services Ltd - Fascia/Soffits/Guttering, Glass, Windows/Doors/Conservatories based in Epsom, Surrey. 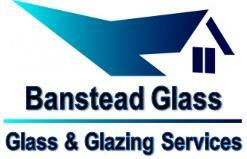 Banstead Glass has been established for over 40 years. We are stockists of all types of glass, from cut glass to polished plate. Our expertise and reliability has enabled us to develop a loyal group of customers, including prestigious clients such as Pinewood and Shepperton Film Studios. We are regularly used by corporate clients including local property management agencies, schools, and Surrey County Council, and have carried out a large amount of work for residents in our local area. Click on the link below which will direct you to our web site to find out more about our products and services.